Tarmo has been an active member of Estonian civil society. He was one of the original members to sign Harta12 (a civil initiative focusing on problem areas in state governance) and publicly stood for the ratification of the Registered Partnership Act in autumn of 2014. As a playwright at Von Krahl Theatre and NO99, Tarmo has led two plays that are considered flagships of modern Estonian theatre. He has lectured and still conducts lectures at the University of Tallinn, Estonian Academy of Music and Theatre and Estonian Business School. He is also a frequent speaker at conferences in Estonia and abroad. Tarmo is one of the long-standing co-authors of Memokraat (a blog dedicated to opinion pieces from people across civil society) and has published both in public and academic media. 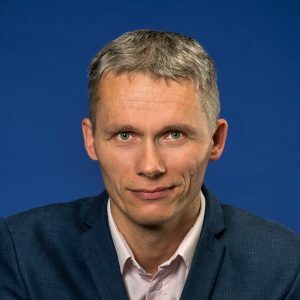 He graduated from the University of Tartu with a degree in Finance and Credit and worked in the financial sector, in fields of commercial and investment banking and risk capital management, for 15 years. Currently, he is finishing his PhD in Cultural Studies at the University of Tallinn. Tarmo has an adult daughter and a son who has just started primary school. He is fluent in English and Finnish and gets by in a few other languages when the occasion calls for it.